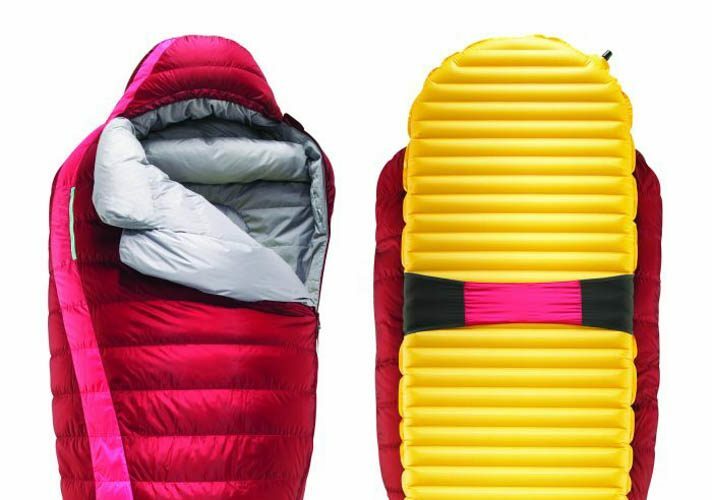 Coming in at an eye-watering £330 is the Mira sleeping bag. 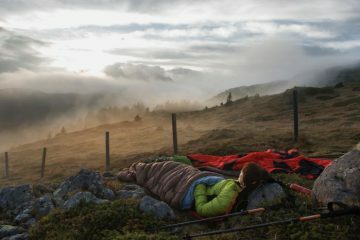 Therm-a-Rest is probably better known for its excellent sleeping mats (we like the NeoAir Xlite) but, as the Mira shows, the company sure knows how to make a good sleeping bag as well. The Mira is a women’s bag; the unisex version is called the Antares. The first thing you notice about the bag is its tiny weight and pack size, and that’s not just because this is the women’s bag. You’d have no problems fitting it into a rucksack for multi-day adventures. 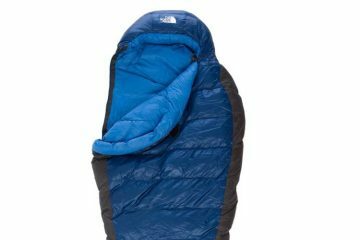 And for such a packable bag it still has great thermal properties, thanks to the 750+ fill down and other features like the ThermaCapture lining, that reflects heat, and the zoned insulation, putting more fill where you need it most. There is also a pouch at the bottom of the bag to warm up cold feet, called the Toe-asis Foot Warmer (only in the women’s version of the bag). 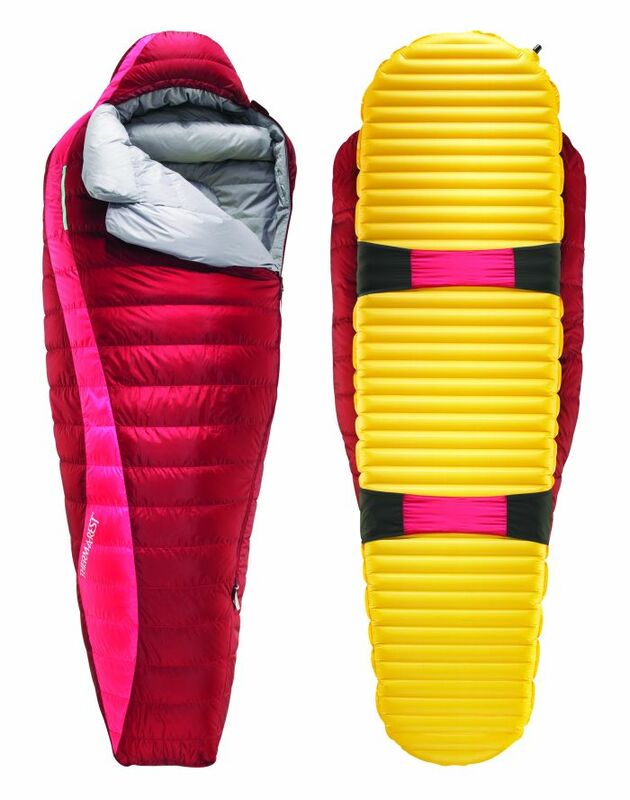 And a novel feature is the SynergyLink Connectors that mean you can attach your sleeping bag to your sleeping mat, to stop you getting tangled up in the bag in the night. They work brilliantly, but they aren’t so useful if you want to sit up in the bag to drink tea or play cards. The Therm-a-Rest Mira is a superb bag that will be perfect for a wide variety of three-season adventures and even some winter excursions.